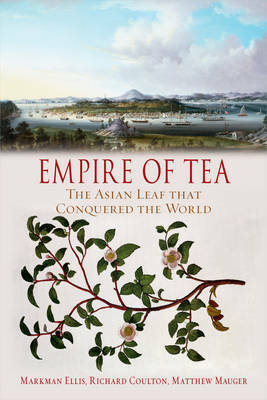 A bibliography of scholarship produced during the last century on the history of tea in Britain. We will update this from time to time. Please suggest further entries on the comments page. Cole, R. B., ‘Form versus function : a study of some early Worcester tea wares’, Journal of the Northern Ceramic Society, 20 (2003/4), 59-64. Harvey, Karen, ‘Barbarity in a Teacup? Punch, Domesticity and Gender in the Eighteenth Century’, Journal of Design History, 21: 3 (2008), 205-221. Hillemann, Ulrike, Asian empire and British knowledge: China and the networks of British imperial expansion (Basingstoke: Palgrave Macmillan, 2009). Kowaleski-Wallace, Elizabeth, ‘Tea, Gender, and Domesticity in Eighteenth-Century England’, Studies in Eighteenth-Century Culture 23 (1994), 131-45. Kowaleski-Wallace, Beth, Consuming Subjects: Women, Shopping, and Business in the Eighteenth Century (New York, NY: Columbia University Press, 1997). Lu, Yü, (d. 804), The classic of tea: origins & rituals, trans. by Francis Ross Carpenter (Hopewell, NJ: Ecco Press, 1974). Matthee, Rudi, ‘Exotic substances: The introduction and global spread of tobacco, coffee, tea, and distilled liquor, 16th to 18th centuries’, in Drugs and narcotics in history, ed. by Roy Porter and Mikulás Teich (Cambridge: Cambridge University Press, 1995), pp. 24-51. Morse, Hosea Ballou, The Chronicles of the East India Company Trading to China 1635-1834, 5 vols. (Oxford: Clarendon Press, 1926-1929). Mui, Hoh-Cheung and LH Mui, ‘Smuggling and the British tea trade before 1784’, The American Historical Review, 74: 1 (1968), 44-73. Mui, L.H., ‘Andrew Melrose Tea Dealer and Grocer of Edinburgh 1812–1833’, Business History, 9 (1967), pp. 31-45. Sandra Sherman, ‘Impotence and Capital: The Debate over Imported Beverages in the Seventeenth and Eighteenth Centuries’, 1650-1850: ideas, aesthetics, and inquiries in the early modern era: vol. 9, ed. by Kevin L. Cope and Anna Battigelli, (New York: AMS Press, 2003) p. 142. Smith, Woodruff, ‘From coffee-house to parlour: The consumption of coffee, tea, and sugar in north-western Europe in the seventeenth and eighteenth centuries’, in Jordan Goodman (ed. ), Consuming habits: deconstructing drugs in history and anthropology (London: Routledge, 1995), pp. 148-63. Wakeman, F., ‘The Canton Trade and the Opium War’, in J. Fairbanks (ed), Cambridge History of China, Volume 10, part 1 (Cambridge: Cambridge University Press, 1978), pp. 163-212.